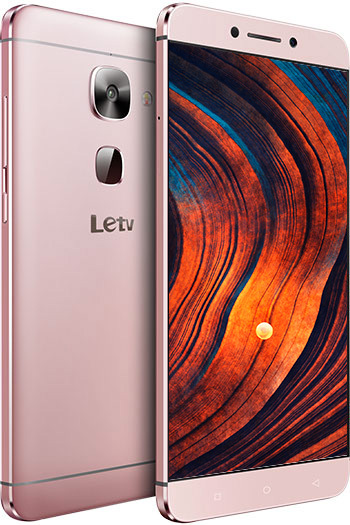 Following up on the success, LeEco has officially launched the successor to the 1s in the form of LeEco Le 2, at an aggressive pricing of 11,999 INR. Lets take a look at the phone specifications that takes on the likes of Redmi Note 3, Meizu M3 Note, Zuk Z1 and so on. The Le 2 comes with a 5.5″ FHD screen packing 1920*1080 pixels that brings close to 401 ppi. Similar to the 1s, the 2 comes with a unibody metal body design and weighs 153 gms with a thickness of 7.5 mm which is impressive. Under the hood the device packs a Qualcomm Snapdragon 652 processor that has 4 powerful Cortex-A72 cores and 4 Cortex A53 cores, making it more powerful than the Snapdragon 650 used in the Redmi Note 3. With 3GB of RAM and 32GB of internal memory there is no option to expand the memory. But what’s good is that it has the dual nano-sim slot and hence a truly Dual SIM phone at any point of time, and both the SIM trays accepts 4G LTE SIMs and with VoLTE support. The Le 2 comes with 3000mAh of battery and runs on EUI built off Android 6.0 Marshmallow. In terms of the camera, it packs a 16MP f/2.0 wide angle primary shooter that can shoot 2160p @ 30fps and also has PDAF and LED flash. On the front there is a 8MP camera. With USB Type-C support, LeEco has done away with the 3.5 mm audio jack to allow for Continual Digital Lossless Audio (CLDA) via the same USB Type C port. The phone also comes with a fingerprint scanner at the back that is around the ultrasonic technology, one of the first phones to use this. The phone also supports USB OTG and fast charging. 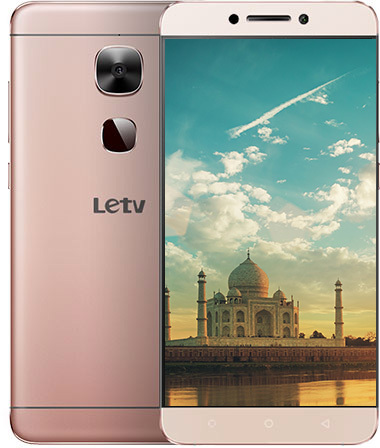 Availability – The LeEco Le 2 will be available for a price of Rs. 11,999 at a later date in June on Flipkart and LeMall, Le’s official website. The Max 2 sports a big 5.7-inch QHD screen that is also a bezel less display what LeEco calls the Super Retina display. The phone is powered by a Snapdragon 820 SoC clocked at 2.15GHz along with Adreno 530 GPU. Comes with 4GB or 6GB of UFS 2.0 RAM depending on the 32 GB ROM or the 64 GB variant that you may pick up. Just like Le 2, the storage is non-expandable. A 3100mAh battery with fast charging support sits inside and cannot be removed. EUI 5.5 built of Android 6.0 Marshmallow will run on the Max 2. Just like LeEco 2, the Max 2 supports Dual nano SIM with 4G VoLTE, Quick charge and the CDLA for enhanced audio experience and letting go of the 3.5mm jack for USB Type-C port. The phone also comes with an ultrasonic fingerprint scanner that can work with moist and greasy fingers as well. Connectivity options include: Dual-band Wi-Fi, 4G LTE, VoLTE, Bluetooth 4.2 and GPS. Coming to the camera, it packs a 21MP rear camera with f/2.0 aperture, Optical image stabilization (OIS), phase-detection autofocus (PDAF) and dual-tone LED flash. It can shoot 4K videos @ 30 fps. There is a 8MP camera on the front. Availability – The 32GB variant of Max 2 comes at a price of 22,999 INR while the 64GB variant is priced at 29,999 INR. The Le Max 2 will be available on Flipkart and LeMall.com starting June 28th via flash sales, registration for the same begins from June 20th.